Click here if you’re viewing our page from your mobile phone. Maple Fest at the library! Come on February 9th from 6:30 – 8:30 pm for LIVE MUSIC, Maple Dessert Contest, Basket Raffle, and a rollicking good time! This is our 7th annual Maple Fest; if you haven’t been before, come out for lucky number seven. This event is FREE: bring your dollars for voting in the dessert contest and for raffle tickets. Have a maple dessert to show off? Enter your creation in the contest for the glory of the coveted Golden Sap Bucket. Find the entry form here: Maple Dessert Entry Form 2019. 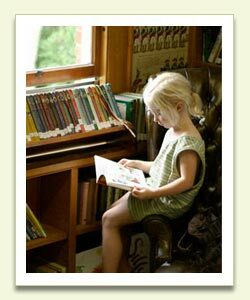 Borrow one of the library’s passes to Vermont TradeWinds Farm, Shelburne Museum, Shelburne Farms, ECHO Science Center, Vermont History Museum, Vermont History Center, Vermont State Parks and Vermont State Historical Sites (in the summer only) today for a discount on your visit. UNIVERSAL CLASS: TAKE A FREE ONLINE COURSE! The Department of Libraries offers access to over 500 FREE online continuing education classes. Visit the Take a Class page to find out information about how to sign up and start learning today! Check out the New Arrivals page for a listing of brand new books, DVDs, and audio books for adults and kids. We are pleased to offer this service to all our card-holders at no cost. You may now download audiobooks and e-books (yes, e-books! ) They are even easier to download than the audios. Just go to Listen up Vermont and see how easy it is to burn a book to CD, download to an MP3 player, or listen straight through your computer. Instructions are on the website: you will likely need to download the OverDrive Media Console or Adobe Digital Editions on to your computer in order to download the files. Both are free software. If you are a little mystified by this process, please stop by the library and Abby will help you out on one of our computers. If you donate your used clothing to the Neat Repeats store in Middlebury in the library’s name, the proceeds allow us to improve our audio book collection. If you shop Amazon, start your visit at Amazon Smile. You can select the Friends of the Platt Incorporated as your charity and a portion of your purchase will go towards funding the library.